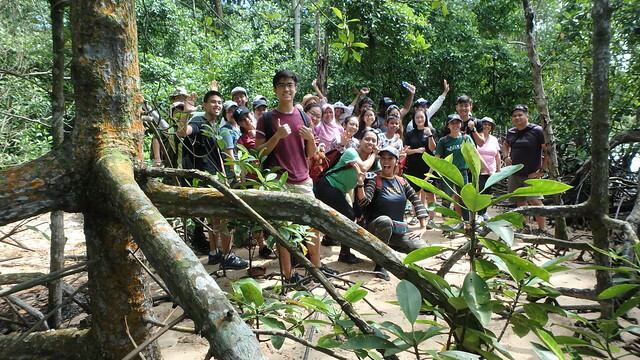 Mangrove Restoration Workshop on Pulau Ubin! One of the activities by the marine community for IYOR 2018. What is Celebrating Singapore Shores? It is a community platform that brings together the Singapore marine community. This community-driven initiative brings together partners such as government agencies, NGOs, interest groups, academics, private organisations, and civil society. Started as we joined in the celebrations of International Year of the Reef 2018, Celebrating Singapore Shores goes on after 2018! This platform is to celebrate all our shores: from mangroves to seagrasses, rocky shores to reefs, even our living artificial shores! Through articles on this blog and related channels, we hope to inspire everyone to CONNECT, RESPECT and PROTECT Singapore's shores! What are some of the key activities? One key activity is the Singapore Blue Plan 2018, drawn up by science and expert contributors, as well as stakeholders, for submission to government in the third quarter of 2018. As part of International Year of the Reef 2018, internships were also offered from Aug 2017 to Mar 2019, to provide a unique opportunity for the Singapore marine community to mentor those passionate about marine advocacy and who want to make a real difference. For more experienced community members to share their knowledge, skills and experience. About 100 people applied for the internship and about 40 were placed with the marine community. Here's some of the work done by some of the interns. The community will also offer lots of events to celebrate our shores! There will be fun activities for everyone to appreciate Singapore's shores. As well as activities to start conversations about and take action for our shores. Want to write a story about Singapore shores? Yes, please! Here's some high res photos for your free download to use. Wild Drawings - Check out their Seas & Shores Gallery for local marine wildlife!